ANDRITZ high-pressure pumps are designed for highest flexibility. Numerous horizontal and vertical models allow for efficient building designs. A variety of material and sealing versions guarantee optimal adaptability to the medium. Different hydraulic systems for each pump size enable a selection at the best efficiency point. These pumps are used for various high-pressure municipal and industrial applications, e.g. water supply, irrigation, circulation, boiler feed, and drainage. The high standard of the ANDRITZ multi-stage high-pressure pumps from the MP series is based on decades of experience in designing hydraulic machines and on extensive process know-how. The pumps are installed for conveying clean and slightly contaminated media such as cold and hot water, condensate, deionized water, oils, and suspensions. The high-pressure pumps in the MP pump series are designed according to a strict modular system. With this system, different design variants can be supplied according to the customer‘s requirements quickly, easily and economically, without customizing and using a minimum number of components. For more information on our high-pressure pumps from the MP series please have a look at our brochures in the sidebar or contact us directly. 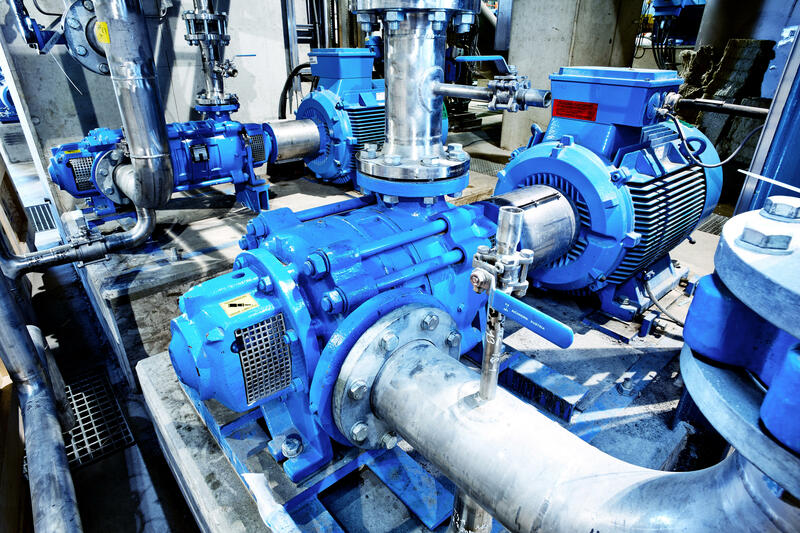 ANDRITZ multi-stage high-pressure pumps from the HP series are used for various industrial applications such as water supply, irrigation, for hot and cold water circulation, firefighting, boiler feed and pressure boosting installations. They are suitable for transporting all clean or slightly dirty non-corrosive liquids up to a viscosity of 150 mm²/s (cSt). Under difficult suction conditions (low NPSH-available), the pump can be provided with an axial inlet for cavitation-reducing flow entry pattern into the first stage impeller. For more information on our high-pressure pumps from the HP series please contact us directly.